Winslow Indian Healthcare Care Center facility was originally built as a tuberculosis sanatorium in 1931. This continued until 1948, when the building was converted to a hospital, thereby becoming a federal service unit under Indian Health Services (IHS) and was known as Winslow Service Unit (WSU). The WSU inpatient hospital services continued from 1948 to 1977 then transitioned to an ambulatory health care facility. The WSU was chartered as a non-profit corporation under the laws of the Navajo Nation on February 16, 2001. This was a part of Navajo Nation’s initiative to contract the federal health programs on the Navajo Nation under P.L.93-638, otherwise known as the Indian Self-Determination and Education Assistance Act (ISDEAA). The Winslow Service Unit then became Winslow Indian Health Care Center, Inc. (WIHCC). On April 18, 2002, WIHCC was authorized by the Navajo Nation Resolutions #CAP-35-02 to operate as a "tribal organization" for purposes of contracting with the Indian Health Service pursuant ISDEAA to administer and operate the WIHCC and its related programs. Then on July 21, 2010, Resolution #CJY-33-10 was approved by Navajo Nation Council to operate as a "tribal organization" for purposes of compacting with the IHS pursuant to the ISDEAA, Title V-Self-Governance to administer and operate the WIHCC and related programs. For the next 14 years, this authorization paved the way for WIHCC to maximize the flexibility and innovatively develop solutions to meet the needs of the Native people in the southwest region of the Navajo Nation and border towns of Winslow, Joseph City and Holbrook, along Interstate 40 corridor. seven days a week, opened until from 8:00 am to 11:00pm Monday through Thursday and until 8:00pm on Friday, Saturday and Sunday. During Urgent Care after hours, emergency services are provided to patients through Little Colorado Medical Center (LCMC), located two miles east of the Winslow campus. WIHCC serves eight (8) chapter areas in the southwest region of the Navajo Nation. These chapters include Birdsprings, Dilkon, Indian Wells, Leupp, Teesto, Tolani Lake, Jeddito and White Cone. WIHCC also provides services to the people living in the border towns of Winslow such as Joseph City and Holbrook. The Navajo Area User Population for FY 2016 is 245,611. Out of that number, WIHCC has a user population of 16,403 which accounts for 6.7% of the total area. The number of patient visits during FY 2015 was a total of 193,924 far from the 65,053 visits in 2002 when WIHCC first began operating under P.L. 93-638. These visit account for the abundant services provided by WIHCC providers which range from primary care, dental services, and pharmacy, to public health nursing, physical therapy and specialty care. 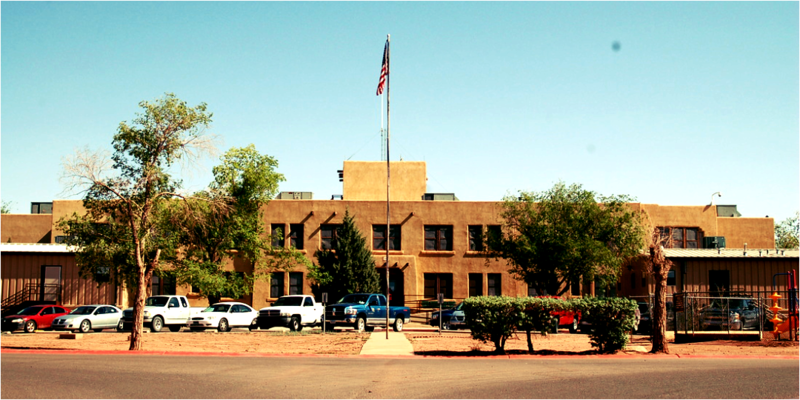 The 85 year-old building is now used for non-clinical activities/functions as this building is under Arizona State Historic Preservation status. Clinical services are now provided in the state-of-the-art Medical Office Building. This facility houses a wide range of specialty services that include Rheumatology, Nephrology, Neurology, Surgery, Podiatry, Gynecology, Cardiology, and Maternal and Child Health. Winslow Indian Health Care Center maintains professional relationship with the LCMC, a private non-profit organization, which extends privileges to WIHCC medical staff to care for Native American patients. This unique arrangement provides otherwise unavailable inpatient care in a cost effective manner as well reducing expenses associated with patients traveling to outside health care facilities. The higher acuity patients are referred to other facilities such as Flagstaff Medical Center as well as hospitals in Phoenix or Tucson. WIHCC integrates with other programs including community health, preventive health services, and complementary care such as traditional Navajo health practices. The Health Promotion/Disease Prevention program is designed using the Navajo Model and Philosophy of four cardinal directions. WIHCC staff understands and uses the concept of the four directions to meet wellness goals and objectives, including Government Performance Results Act (GPRA). WIHCC is accredited by the Accreditation Association for Ambulatory Health Care, Inc. (AAAHC). This AAAHC certificate of accreditation is a sign that Winslow Indian Health Care Center meets or exceeds nationally-recognized standards. Winslow is also accredited through AAAHC as a Patient Centered Medical Home (PCMH) which is care delivery model whereby patient treatment is coordinated through their primary care provider to ensure patients receive the necessary care when and where they need it, in a manner they can understand. Accessibility, Quality and Cost Effective Health Care. A healing and harmonious environment in partnership with communities.